Five varieties of Seed Potatoes from John Rietveld Farms, in 5lb. bags, ready for your store shelves. 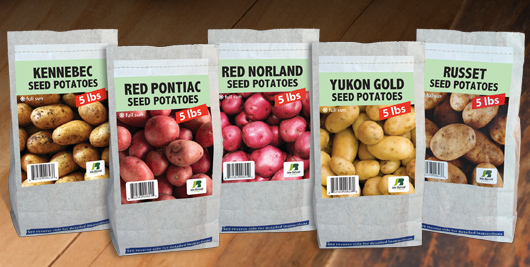 Seed Potatoes are shipped and featured in a PDQ carton display, with 4-color front label graphics.